HVAC technicians are part of a specialized profession that is quietly becoming one of the most in-demand technical fields to be a part of. HVAC stands for heating, ventilation and air-conditioning, which also describes the nature of the work which these technicians get to handle in this very lucrative career. 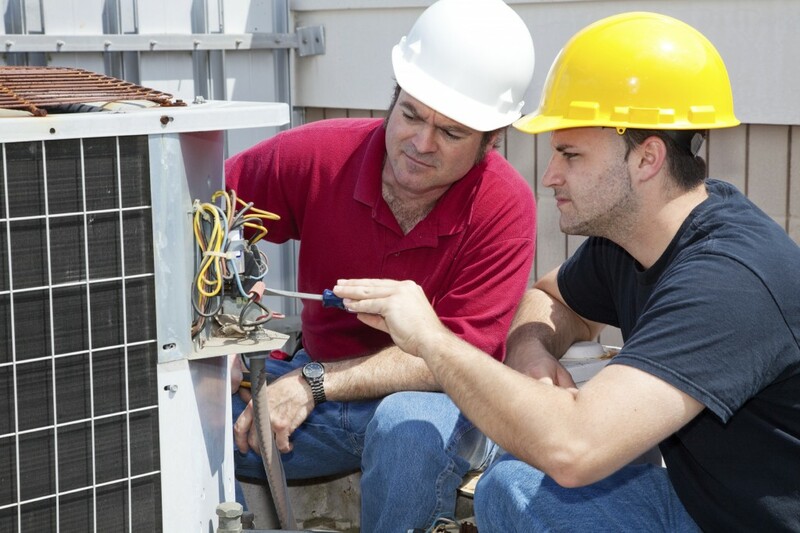 Making the decision to become a HVAC technician is already a very smart first step. The next would entail finding a good school or training college that will allow the student both classroom and hands-on work, with ample time for learning the ropes of the industry. While HVAC training courses are readily available in schools and online, students must look for these top three considerations before signing up and slapping down a check to pay for the course. First, consider time—not just yours, but what an accredited technical school will give you. Again, there are lots of HVAC training curriculums online, and while these are worth a look, they will be convenient only for those who are extremely busy during the day, or have other work they need to attend to. The upside of an online hvac class is the flexible schedule and pacing; otherwise it can be a hassle to get credits for on-the-job-training and the like. Onsite schools have courses that run from six months to two years, and this reflects the frequency of class schedule and leniency of the program, which can be better in the long run for those who are serious about the course. Another time consideration would be the number of classroom hours versus the number of on-the-job training hours. For any short course on HVAC technician training, a student must be able to complete a minimum of 2,000 hours of apprenticeship, according to standards set by the U.S. government. It should be noted that exceeding this number is both permitted and highly encouraged. The classroom curriculum for the advanced courses lasts up to 640 hours, divided into sections depending on the advancement of skills. However, students may choose to take up only some areas of instruction, and these average 120 classroom hours each excluding training time. Next, consider price. Obviously, undergoing HVAC training will be considered an investment, since the return on the efforts made and money spent will only show once the student gets a job upon graduating from the course. 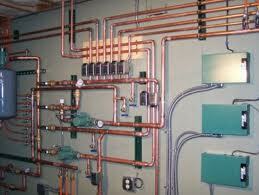 However, HVAC training curriculums are affordable, so the needlessly expensive ones are not necessarily better. To give you an idea, online classes offer tuition rated at $800 to $1200 for the entire course. This includes registration and tuition fees, and may not include other instructional materials like books. Meanwhile, onsite courses can be a bit more expensive, with full tuition and textbook fees amounting to an average of $3,500 to $6,900 depending on location, length of the course and other factors. It should be noted, however, that this particular course gives the student bang for the buck, since they can intern with companies which have “Earn-while-you-learn” programs, meaning they pay students even as interns. This already allows students to get back some of what they paid for to study. Finally, consider the curriculum. Depending on what area you would like to specialize in, be sure that any potential school’s curriculum has an ample amount of classroom instruction and time for real-life training. Compare the completeness of each, and refer to the guidelines set by the government, especially when the time comes for certification and licensing. The following are the top schools in the country as ranked by user popularity and course completeness. Students who wish to take their HVAC course here are assured of quality that will help them become successful professionals upon graduation. 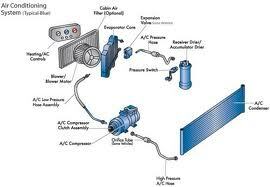 The HVAC training programs offered at Ashworth College provide a diploma in a Heating and Air Conditioning. In this program students will study amd master topics such as the components of HVAC systems, all of the tools and equipment that are required to allow one maintain HVAC equipment, as well as how to solder. The program includes 19 lessons, which are conveniently available online allowing students to be able to complete the reading and chapter tests at your convenience. Included in the tuition are study guides, tutorial assistance, a digital multimeter, illustrated textbook, career search guide, and an online student forum. At Charter, their courses are taught by those who are experienced HVAC professionals with on the job experience under their belt. All students receive hands-on training allowing them the oppurtunity to use tools and equipment the same way they would on an actual HVAC job. With Charter College’s goal to give its students many career and job options, their classes are available year round to allow students to get their degree and find a job in the shortest amount of time possible. During Lincolns HVAC training program, students will have the opportunity to work hands-on with all types of temperature control equipment that are actually used in residences and businesses alike. Their program teaches individuals how to troubleshoot HVAC equipment on their own, showing them how to find problems such as carbon dioxide leaks or burners and thermostats that may be malfunctioning. After one graduates, Lincoln provides career advice and counseling to help ones locate a possible life long career match.